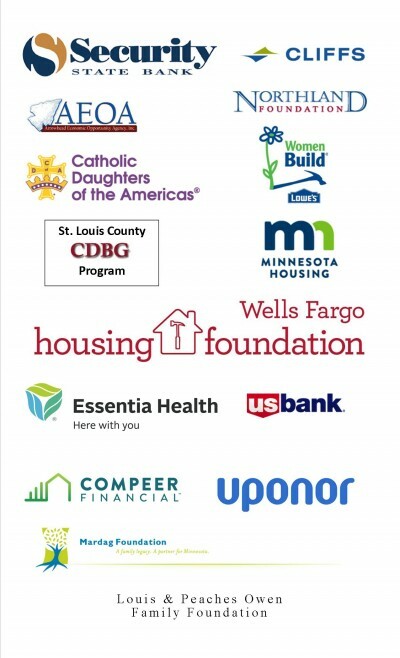 Thrivent members chose to direct Choice Dollars® to more than 32,000 churches, schools and other nonprofits, including North St Louis County Habitat For Humanity, through Thrivent Choice®. Based on member recommendations, North St Louis County Habitat For Humanity received $2,906 in charitable outreach funding in 2017. Thank you! THANK YOU to these In Kind Donors to Habitat for Humanity! 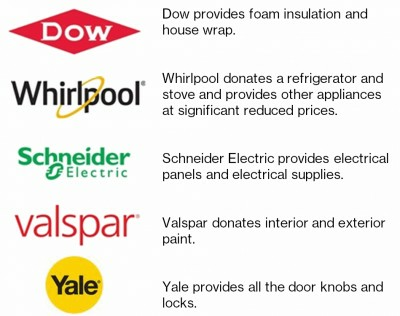 These are national companies that donate the following products to every Habitat for Humanity House in the United States!